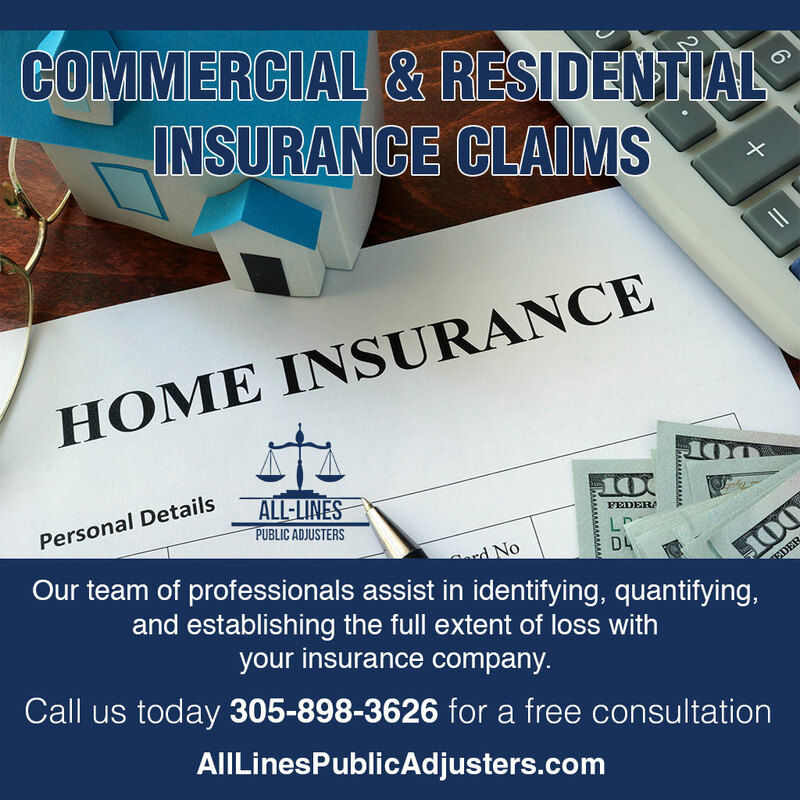 ALL-LINES Public Adjusters, Inc. is available 24/7 to help commercial property owners during times of disaster. A business property loss entails intricate claim preparation, which includes detailed reports outlining the various areas of loss, such as building damages, the interruption of daily work procedures, entailing loss of income, business contents, and property losses. Failing to have a public adjuster on your side during the claims process could result in the loss of untold amounts of money that you are entitled to be compensated under your insurance policy. During a time of catastrophic crisis, the business management is typically focused on working to get the daily operations back up and functioning properly. They do not have the time or knowledge to handle the difficulties that arise with a complex claim, especially a claim that involves numerous endorsements specific to their business needs. The insurance company’s adjuster is looking out for the best of interest of the insurance company (paying out as little as possible), which is why hiring a public adjuster to look out for your interests is vital. Invariably, we have witnessed how insurance companies attempt to limit or exclude payouts. Our team of expert adjusters responds immediately and begins the task of reviewing the business insurance policy and addendums, identifying and documenting damages, and developing a mitigation plan. Completing an accurate damage assessment is paramount. We understand the language of insurance policies and how they are interpreted and applied by the carrier, allowing us to properly address coverage and ensure that compensation to the insured is protected and enforced. During the course of the assessment, we will take photos of the damages and develop an itemized list of all contents affected. We recommend against disposing of any contents until we have completed this process. When necessary, we will arrange for a professional to board up windows and doors and/or tarp the roof, to protect the property from additional damages. Once the documentation of damages is completed, we will work directly with the assigned insurance adjuster to negotiate a fair and beneficial settlement of the claim. We have access to all the necessary professionals to ensure you receive everything you are entitled to under your claim policy. We may seek the assistance of a litigation specialists or forensic property engineers to provide additional means to substantiate the claim. It is our job to manage the claims process, so you can attend to getting your business running at full capacity.